Well it’s been a while since I had last sat down to do a review. While the contests were fun, man were they crazy. Congrats again to all the winners, and a big thank you goes out to everyone for their support. 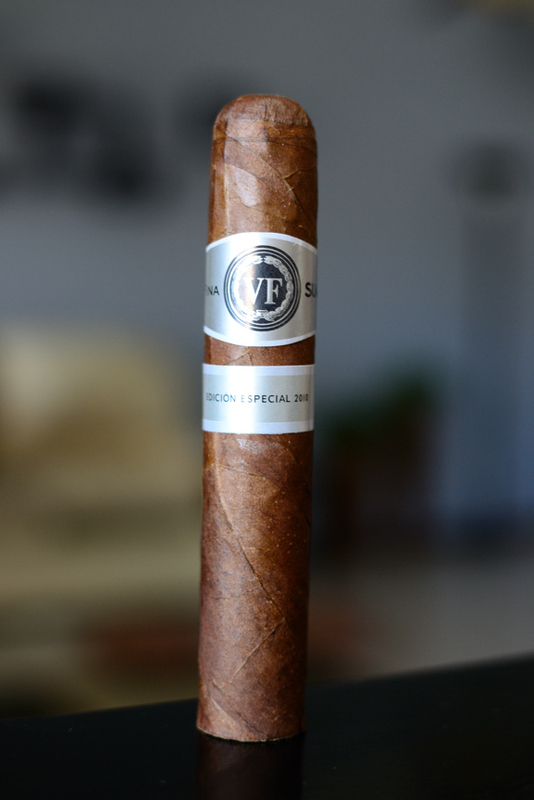 Leading off the return of our reviews is the VegaFina Sumum Edicion Especial 2010. The Good Stuff: If you aren’t familiar with VegaFina, don’t feel bad. The line comes from Altadis, which owns brands such as Montecristo, Romero y Julieta, and H. Upman which can easily overshadow the smaller names such as the VegaFina. 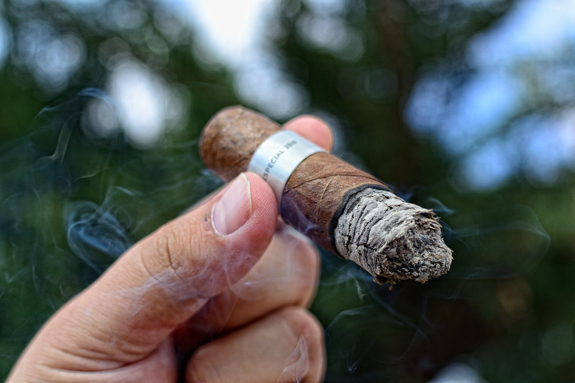 The Sumum, is a vintage blend created at Tabacalera de Garcia “with the best premium tobaccos, hand-selected for their unique characteristics and aged with care, for a one-of-a-kind smoke with distinct body, toasty aroma, and rich flavors” as stated by Altadis. This blend was released into the US last month, but, like the Quesada Sleccion Espana, was actually released in Europe quite a while back. I really like that manufacturers are starting to bring certain blends out of certain markets like that. The blend starts with a two year old Ecuadorian wrapper (one of the darkest I personally, have seen), bound by a three year old Dominican binder, stuffed with a three year old filler composed of Nicaraguan, Dominican, and Peruvian tobacco. You can only find this blend in one size, the 5×54 which retails for $6.75. These samples were sent directly from the manufacturer to me. Thanks to www.stogieguys.com for all this info. If you haven’t checked out their site, I urge you to do so. Some of the most comprehensive and informative reviews out there. Size: 5×54 – Wrapper: Ecuadorian – Binder: Dominican – Filler: Nicaraguan, Dominican, and Peruvian. Prelight: The VegaFina Sumum is very pleasing to the eye. The cigar starts out with a medium/orangish brown wrapper which is pretty consistent for the most part, only bearing a few splotchy areas. The cigar isn’t very oily, but the toothyness on the wrapper, and all around density of the tobacco they used to wrap it compensate for the lack of oils. 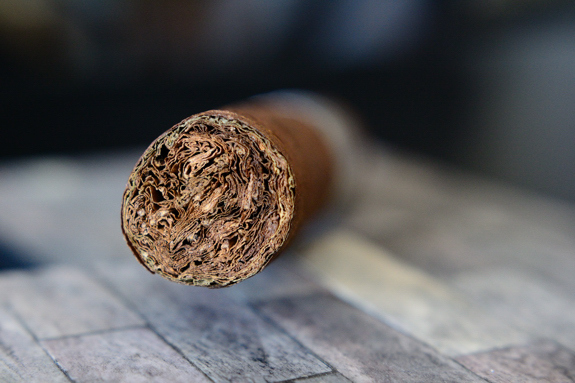 There are only one or two smaller veins running through the body of the cigar. The VegaFina Sumum carries a very simple, stylish, and elegant silver, grey, and black double band. 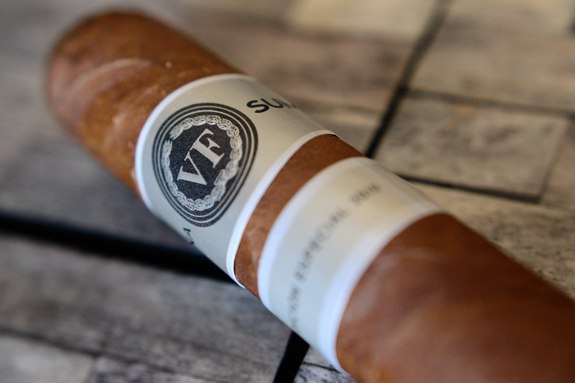 The larger of two, carrying the “VF” logo as well as the titles “VegaFina” and “Sumum” while the smaller band boasts “Edicion Especial 2010”. The cigar is then polished off with a beautiful, round, triple cap. As I stated before, the wrapper is very thick and durable, while the cigar in general is really heavy, and really tough. I really hope it isn’t packed so tightly that it becomes hard to smoke. The wrapper of the cigar gives off little more than a slight cedar aroma while the foot lets out a very modest spice, and citrus aroma. The VegaFina Sumum cut very, very easily with my Palio double bladed cutter. The cold draw put me as ease, as it was not too loose, nor to tight producing a very natural, grainy, oaty flavor with just a touch of spice. First Smoke: The VegaFina Sumum started off with a whole lot more pepper than I thought it would. It wasn’t overpowering by far, I just wasn’t expecting it from the cold draw. The main flavor was this really interesting plum, along with some citrus, cedar, earthy natural flavors, and a really sharp spice. 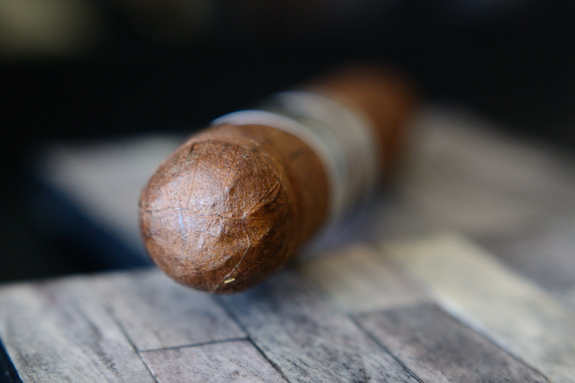 The draw on this cigar is perfect, kicking out a whole mess of thick, white smoke with every little puff. The burnline started out very, very messy, but has began to straighten out as I near the end of the first third. 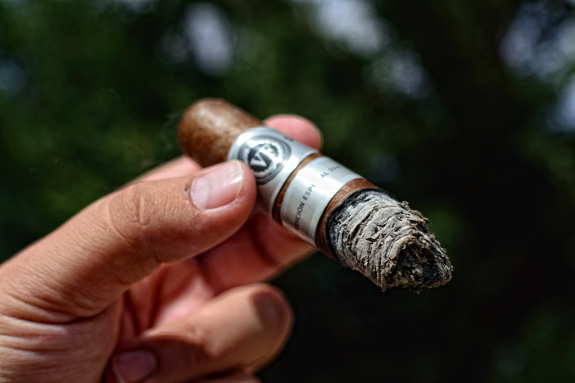 The ash is tightly compacted with a bit of flaking, and a bright white. The ash held on well over an inch before giving way. Halfway There: Now the VegaFina Sumum Edition Especial 2010’s true colors are starting to show. 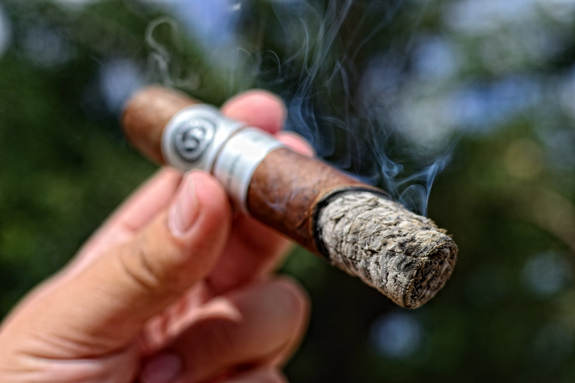 The cigar is really starting to push out this deep, mossy, cedar flavor which pairs perfectly with the spice and citrus, while the plum is still evident, but takes a back burner to the more prominent flavors. The retrohale on this cigar is great, coating my nasal passage with a very deep, smooth cedar. I could retrohale this cigar all day. The burnline is now burning dead even, and I am feeling only a very slight bit of nicotine. 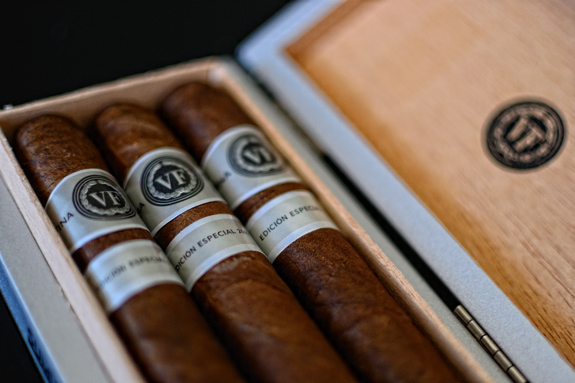 Finish: The VegaFina Sumum Edicion Especial 2010 has stepped it up once again in the final third. The pepper has made a subtle re-appearance, the cedar has stepped it’s game up, the spice is still there and the citrus is rocking solid all while the body has started to ramp up. I have to say, the beginning of this cigar was a big “so-so” but what becomes of the stick in the second and final third are well worth it. I am feeling a little nicotine kick, and have experienced absolutely no harshness at all, even into the final inch. The cigar finished off smooth, and complex. 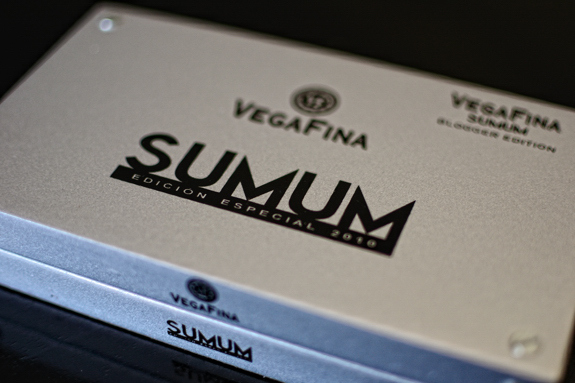 Overview: The VegaFina Sumum Edicion Especial 2010 caught me by surprise. In my opinion, Altadis cigars don’t really do much for me. It’s not that they create bad cigars by any means. They usually just don’t create very complex blends, and tend to appeal to mass market. Which is totally fine, and I hold nothing against them for that. It’s just not often that I enjoy an Altadis cigar as much as I enjoyed this one. The cigar switched up quite a bit, which kept me on my toes, while the flavors were very good, and complex enough to keep me thinking. If it wasn’t for the drop off at the start this would have been a stellar review. At the price point this cigar is definitely worth picking up a few, or even a box. It’s a great cigar to have in your regular rotation and I can only hope that Altadis produces more cigars like this one. Pairing: Yes, another great Belgian pairing. This beer, and brewery is no stranger to this blog. In fact, St. Bernardus has appeared on more of my review than most other Belgian brews. Matching the amazing summer-esque weather, I decided to pair this VegaFina with St. Bernardus’ Tripel. This 8% ABV powerhouse is brewed at the infamous Brouwerij St. Bernardus in Belgium. The active-yeast beer pours heavy, and light yellowish orange and commands attention as it pumps out sip after sip of heavy citrus, fruit, spice, and malty flavors. I swear I can taste celery in there. 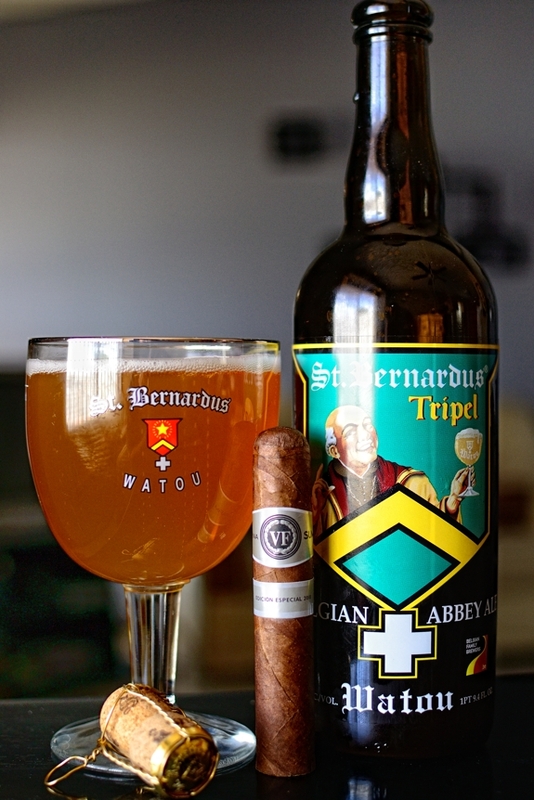 Tripel’s have been a long time love of mine, and St. Bernardus is the epitome of a good tripel. The spices match perfectly with that of the VegaFina and the citrus and strong composure really helped bring the cigar to the next level. That was my thinking going into this. I am glad to say that I was pleasantly surprised. exact;y, and I for one, am glad to see it! These guys are forces, and if they start playing in more boutique markets they will be absolute powerhouses. I paired the VF sumum with an Andrerson Valley Hop Imperial Pale Ale. The IPA has plenty of citrus flavor but I did not detect much citrus in the VF sumum edicion especial 2010. The first 2/3 rd of the cigar was medium to full bodied. Nice flavor and not too overpowering. Earthy and a hint of spice. No leather, no chocolate. The last third was a little strong. I was unable to smoke it to anywhere past the nub. This is my first VF and will pair it with a different beverage next time. I enjoy most cigars from Don Pepin Garcia, the VSG brand and most of Rocky’s. My most recent experience with Opus X has not been very good. I have a God of Fire in the humidor for my birthday in August. Ave Maria are now my “go to” cigars.